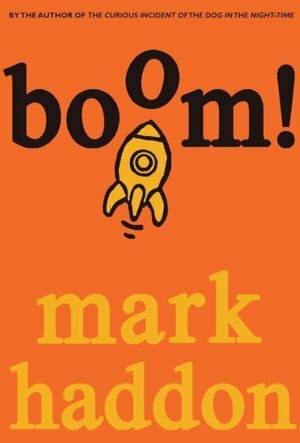 This is a fun story by Mark Haddon, of The Curious Incident of the Dog in the Night-Time fame. Don’t expect anything like The Curious Incident, though, with this book. Its target market is much more in the 8-12 year range. Although, to be fair, there are several curious incidents, and some of them at night. Haddon was persuaded to update and rewrite ‘Gridzbi Spudvetch’, and the outcome is ‘boom!’. I wish I could have read the first version. It appears to have had a cult following I’m not sure its ‘slicker’ version will get. I have talked before about how an author needs to ‘believe’ in what they are writing. Okay – a big ask for Science Fiction maybe, but at least they should not be mocking it. You get the feeling Haddon sees this book as a somewhat unruly child that he has a passing interest in, but could do without. The book has a very teenage tone to it; it is an adolescent. It has a confidence it hasn’t earned, an underlying ‘whatever’, and a slight impatience with having to tell the story. It has a couple of pimples –undeveloped characters, and a thin plot. BUT… it is a fun read. Kids may well enjoy it for a quick read. There are some great lines, and some quirky humour. It would do no harm on the class library shelf.